Additional Info: Hello, my name is Fini and I am a singer and songwriter/composer based in Hackney, London. 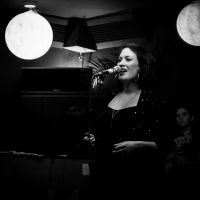 I work regularly across London, the UK and further afield throughout Europe performing with my own band as well as featuring with other ensembles, singing jazz, pop, folk and alternative music. Alongside being a recording artist I am an active, enthusiastic teacher, working both privately (1:2:1/groups) and as a lecturer (singing and composition) at Leeds College of Music and Kent University on their BMus and MMus programmes. I teach a variety of students privately; those working towards auditions, exams and those just singing for fun. I will tailor your lessons to you individual needs and own goals and aspirations. I do tend to teach from home but if you do want me to come to you that is (price dependent) negotiable, so get in touch! I can also teach group lessons. Regardless of your ability or your goals my main focus is that you enjoy your lessons with me and you make steps in improvement, whilst all the while having fun! Lessons in: singing (jazz, pop, classical, musical theatre, folk), composition/songwriting, music theory, piano (beginner-intermediate) classical+jazz, exam coaching. I have a BMus in Music performance from the Guildhall School of Music and Drama and an MMus in performance and composition from Jazz Institute Berlin/Universität der Kunste. I am a fellow of the Further Education Academy and attend regular workshops to complement my work as a teacher. This work includes Estill Method vocal masterclasses, Accent Breathing method and other pedagogies. Discount when you book bundles of 5 or more lessons.